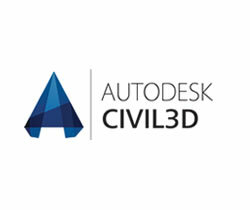 Civil 3D is built upon the AutoCAD platform, and is specifically designed to be used on civils and infrastructure design projects. It is an excellent piece of software for modelling site development works and should be the software of choice when working in this environment. In recent days with the advent of BIM, we have seen some people trying to use one package to do all. This simply doesn't work. Civil 3D is the best software to use for infrastructure projects just as Revit is the best software to use for structural projects. Civil 3D is a very powerful package, with the ability to produce detailed results in a very short space of time. It also boasts the dynamic capability of reacting to changes instantly when they are made elsewhere in the design. Course Description This course assumes no knowledge or experience of Civil 3D and will take time to introduce students to the basic features within the software. HOW TO? This Course is a series of Free "How To" Civil 3D Tutorials. This course covers the topic of Points. This course covers the topic of Feature lines. This course covers the topic of Surfaces. This course covers the topic of Alignments. This course covers the topic of Profiles. This course covers the topic of Assemblies. This course covers the topic of Corridoris. This course covers the topic of Cross Sections.